Following on from our previous posting on Oban, the BBC aired the first of a new series called "Town" last night. The first program featured Oban and can be viewed on iPlayer until June 19th. The Lorn and The Islands Hospital in Oban features in our 3 and 4 year Caledonian programs and we hope to include it in our rural Programs in future years. Oban offers some great opportunities for exploring the Inner and Outer Hebrides along with more outdoor opportunities closer to home in the form of kyaking, sailing, cycling and hillwalking as highlighted in the program. There are 3 posts on offer in Oban in the current Round 2 of recruitment so why not take the plunge and come and enjoy both the life and training opprotunities offered in Oban, "Gateway to The Isles"
Congratulations to those of you successful in Round 2 of recruitment! Only one decision left to make now and that is where to complete your training. So why not make it the North of Scotland, "1st for Training, 1st for Lifestyle"
We have a wide range of options open to you. Our 4 year programs offer a broad range of hospital posts including spells in our Rural General Hospitals that provide excellent training environments with a high degree of autonomy backed up by close support from your supervising consultant. We look forward to seeing you at induction in August. It's a great time to be training in Aberdeen, we have a steady turnover of GP partnerships available every year along with a number of salaried GP positions. On top of this we have a large cohort of GPs projected to retire over the next five years so it is a good time to be training here! We need to attract more GPs to the area to fill all these vacancies. 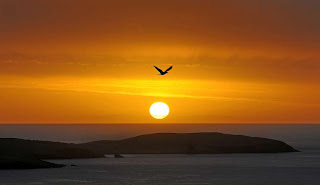 The BBC have produced a 4 part series on the wildlife of the Hebrides, "Islands On The Edge". The series, narrated by Ewan McGregor, is currently being aired on Monday evenings on BBC1 Scotland with repeats on Sunday afternoon. The first episode was shown this Monday and you can catch it on iplayer for the next 4 weeks. So have a look at the fantastic wildlife of the west coast of Scotland, all of which can be on your doorstep if you join our Rural or Caledonian Programs. 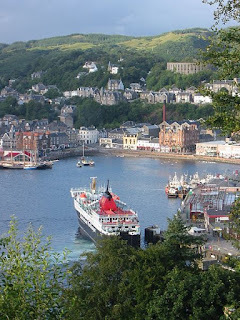 Many of the Inner Hebridean Islands can be reached by ferry from Oban where Lorn and The Islands Hospital hosts posts for both of these programs. Lonely Planet Guide has voted Shetland as among the seven best sunrises in the world. So let the sun rise on your career in general practice by joining one of our 4 year programs. There are two Grampian 4 Year Rotations that feature 6 months in Shetland or you could opt for our Caledonian 4 Year Rotations, two of which offer the first year in Shetland. For more information on Shetland go to Catherine Brown's Blog. There are lots of reasons why Aberdeen is a good place to settle. One reason is Aberdeen is a great place to find a job. The job market here is very buoyant whether that be within medicine or out with.